Addicted To Retail (ATR) Feature: Premium Goods Store Design by Zak Hoke for ATR — Addicted To Retail, Inc.
Addicted To Retail (ATR) Special Feature: Premium Goods Store Re-Design by Zak Hoke for Addicted To Retail, Inc. 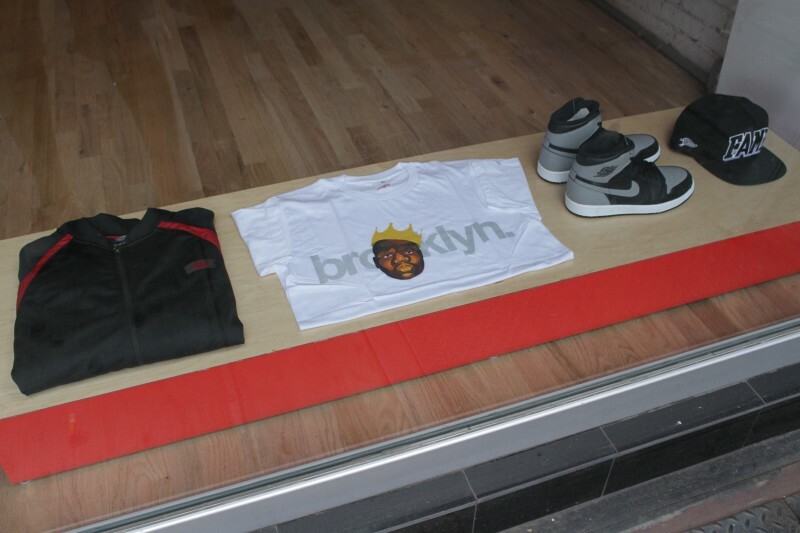 Premium Goods is an institution in the progressive sneaker/streetwear market. Known for carrying rare footwear, designer toys and other cool collectibles, PG commissioned Zak Hoke of Addicted To Retail to re-imagine, re-tool and re-design the store environment of it’s Park Slope location in Brooklyn, NY. ATR’s Aaron Carlsson and Zak Hoke discuss the project in detail below. (AC): What was the purpose of the re-design of Premium Goods in Brooklyn? (ZH): ATR was tasked with transforming the store and elevating the consumer experience. My intention was to produce a pinnacle level expression of the PG brand and evolve the consumer journey. (AC): What inspired your process around the re-design of Premium Goods? (ZH): ‘Drama’, ‘Passion’ and ‘Intensity’…those were some of the feelings I wanted to evoke in the hearts and minds of visitors to the store. My affinity to science fiction and contemporary art are the conduits of my creative process. I also try to design while considering how the store’s target audience behave as shoppers, and leverage that intelligence to the benefit of all the stakeholders – brand, retailer and shopper. (AC): What materials and processes are essential to the success of your designs? (ZH): Product knowledge is paramount, knowing the merchandise offering. Starting off my career as a visual merchandiser, I believe that providing premium product presentation executions are the cornerstone for delivering a successful retail design. That and a good team. Collaboration is crucial. Providing a tactile elements in this era of vast technology is also important to me. The natural warmth of wood I used in the space allows for form and fabric to work in unison, creating a richly textured, sculptural environment. (AC): What’s next for Addicted To Retail, Inc.? (ZH): I’m looking forward to continuing to curate spatial experiences and storytelling through: store design concepts, brand experience spaces, elevated window expressions, fixture displays, artistic installations, tradeshow pavilions, hotel suites and the like, in the US and abroad, touching as many people as possible. 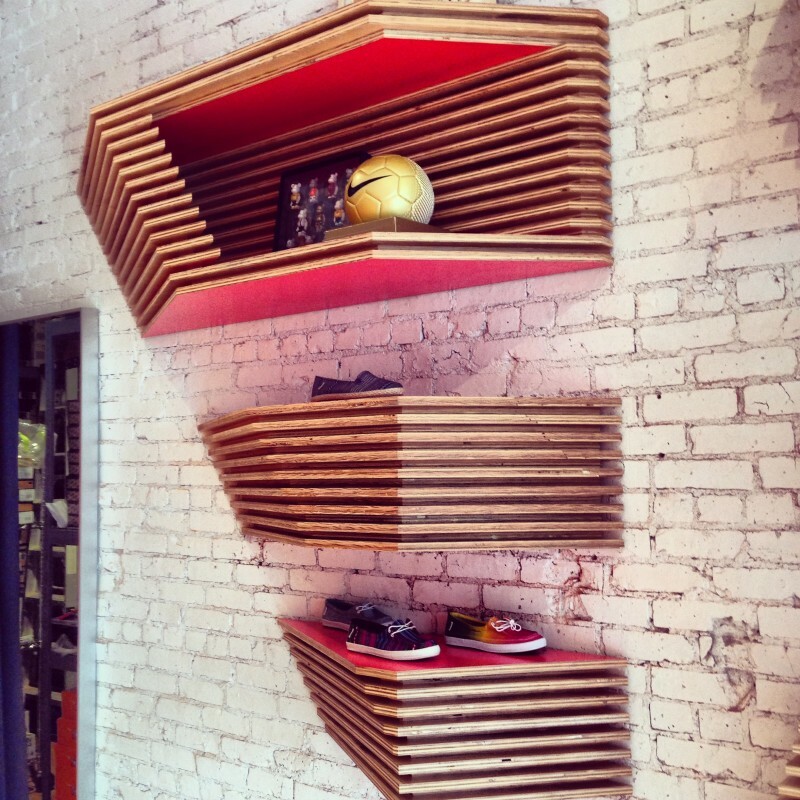 Addicted To Retail (ATR) Re-Design of Premium Goods Sneaker Boutique from ATRetail on Vimeo. Contact ATR for store design concepts, window installations, in-store marketing, POP/POS, visual merchandising, new product launches, displays, fixture design/development, etc. ATR examines creative boundaries around digital and physical integration coming together to deliver a rich shopping experience. All content ©2009-2018 Addicted To Retail, Inc./FutureShop. All rights reserved.